West Oxfordshire District Council's Local Plan faces trouble on all fronts as the Government Inspector opens Stage Three hearings today. 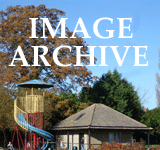 Consideration of Matter 14, which focuses on the Eynsham-Woodstock sub-area, is scheduled for 18-19 July. 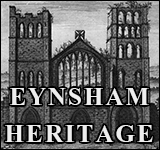 Eynsham is strongly represented - not only by the Parish Council and other statutory bodies but by EPIC and individual residents too. 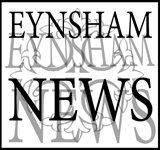 Cllr Peter Emery will focus on WODC's lack of clarity and engagement with the Eynsham community (or their own elected members) in the process leading up to their Expression of Interest for a Garden Village. Sarah Couch highlights the northern part of the Garden Village site - a selection apparently based on ignorance of the deserted medieval village of Tilgarsley (and far more ancient trackways); listed buildings; endangered plants; high quality, organically farmed, agricultural land; flood risk; and an aggregate recycling plant. Stephen & Rosemary Parrinder reinforce these arguments, stressing that WODC has not given enough consideration to reasonable alternatives. 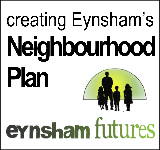 Turning to the West Eynsham proposal, they point to the infrastructure and community services at risk and WODC's continuing refusal to engage with recommendations in the draft Neighbourhood Plan. Historic England weighs in here, with concerns for ‘archaeological remains of national significance’ at the southern end of the proposed new western link road.